Migration And Memory: Top Five 2008 Books Nothing bridges the gap between here and there, then and now like a story. These powerful, personal books examine the exile's life and celebrate lost cities of memory. Literature is full of migrants, from Virgil's Aeneas, the Trojan soldier who traveled to Italy and became forefather to the Romans, to the indomitable teenage hero of Dave Egger's recent What Is the What, who escaped genocide in Sudan and finds himself in Atlanta, of all places. Nothing bridges the gap between here and there, then and now, like a story. Given the rise of the European Union and the impact of wars, natural disasters and economic turmoil, people are on the move now more than ever — writers included. The books listed here evoke such journeys, in writing that feels powerfully personal. 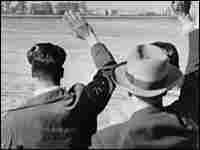 They describe the disorienting newness of a world off balance, pay tribute to places that have irrevocably changed. Through the artistry of their prose, the books open up invisible cities of memory and make us all citizens. This may be the most unlikely Great American Novel you will ever read. A Dutch banker, estranged from his British wife and family, wiles away their separation in New York City with an energetic Trinidadian businessman whose dream it is to create a world-class cricket stadium in the Big Apple. 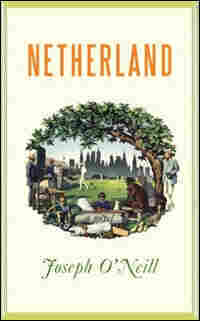 Not exactly the template of a New York novel, but if you read one work of fiction this year, Netherland should be it. Fans of W.G. Sebald's wandering novels will find a home in Arabia in these pages. First published in Arabic in 1996, Muhammad Khudayyir's book — equal parts travelogue, memoir and war diary — conjures the Iraqi city of Basra with the shuffling, elliptical prose of a writer terribly aware of memory's fabrications. He skitters from tales of his days as a schoolboy to his days as a village schoolteacher. 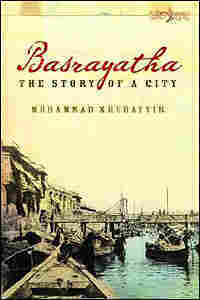 He tells of travelers who came to Basra before him and encapsulates the urge to preserve the past with a wonderful, cinematic metaphor, one so apt it rivals Proust's famous madeleines. "We observe through holes of silence, darkness, and coldness, a shared film of sunny days," he writes of the al-Hamra cinema, where he once sat "spying on life as it was constituted by a beam of rays from behind our heads." Graduates of Ivy League universities, proud mothers and fathers of U.S.-born children, the Bengali-American characters of Jhumpa Lahiri's fabulously absorbing new collection of short stories struggle with a final bond to where they come from. After successfully bringing their family to the States, their gaze turns back to India and to their parents, leaving the younger generation perplexed as to where their loyalties should lie. The ground beneath their feet, which they were raised to take for granted, suddenly shifts. 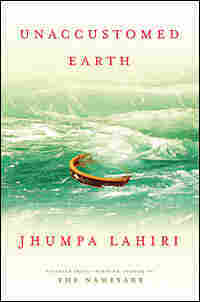 Lahiri is a terrifically observant writer and an inspired sculptor of the domestic scene; these stories use details to create heartbreaking dramas. In the exquisite title story, a recently widowed man travels from India to Seattle to visit his daughter, trying his best to conceal a budding romance back home. He is betrayed, in the end, by a postcard, which he bought but did not send. To his daughter, for whom America is home, it is a heartbreaking message-in-a-bottle: There is nothing, the abandoned card says, for me here. The Israeli-occupied West Bank has been so eclipsed by the Middle East's tortured history it takes a first-rate landscape writer to remind us of its rugged beauty. Raja Shehadeh is clearly that man. 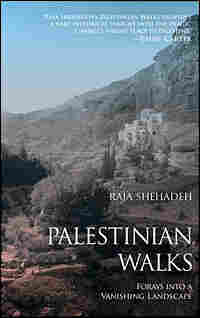 For the past 25 years, he has been hiking the rocky hills near his home town of Ramallah, , as if he were recording the last glimpses of a vanishing terrain or practicing for a migration soon to come. To read this book is to understand why. He describes watching as tons of concrete and billions in U.S. aid are poured over gullies and streams — "multi-laned highways more suited to the plains of the Midwest" — and settlements laid down over ancient land. A lawyer and writer, Shehadeh makes a strong case for the way such construction serves a dual purpose: to erect homes and to erase memory. But in bringing this land to life, and closing his book with a tense, moving encounter with an armed settler, Shehadeh cautiously allows for the possibility of hope. Looking at the landscape together, Shehadeh tells the man, who loves the land as fervently as he: "This beautiful day and this gun don't go together." Hurricane Katrina has receded from the national news, but the destruction it wrought has found testimony in literature. 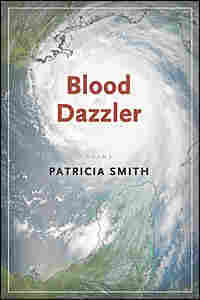 Patricia Smith's fierce, blood-in-the-mouth collection of poems, a finalist for the National Book Award, grows out of this disaster and already has the whiff and feel of folklore. The storm, Smith reminds, was hardest on those who had the least, many of whom will never return home again. Inhabiting one voice after another, she evokes the way total loss can dignify a paucity of possessions. "This is my house," she writes in "Only Everything I Own," a poem in the voice of a victim whose home was obliterated. "This is my thin wood, spidered pane./These are my cobwebs, my four walls,/my silverfish, my bold roaches." In other poems, she powerfully impersonates the storm itself: its bulging, seething menace; the way it flung people to all corners of America; how the loss it unleashed felt biblical, a very personal punishment.